The U.S. Supreme Court decided in favor of the Obama administration in a dispute over taxes on severance compensation, overturning a lower court decision that could have forced the IRS to refund more than $1 billion. 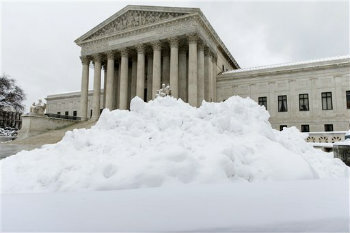 March 26 (Bloomberg) — The U.S. Supreme Court decided in favor of the Obama administration in a dispute over taxes on severance compensation, overturning a lower court decision that could have forced the IRS to refund more than $1 billion. The court said payments to laid-off workers are subject to Social Security and Medicare taxes under the Federal Insurance Contributions Act, or FICA. It was a victory for the Internal Revenue Service, which has been fighting more than 2,400 refund claims from companies and their ex-employees.